Modern day cattle rustler arrested in Texas; victims from Calif., Colo., Wyo. Tulare County Sheriff's Agricultural Crimes Detectives recently traveled to Texas to arrest an Exeter man for stealing cattle, investment fraud and embezzlement, announced Sheriff Mike Boudreaux during a press conference Jan. 4 at Sheriff's Headquarters. "This is 21st Century cattle rustling and embezzlement at the highest level," he said. Seven victims from California, Colorado and Wyoming lost a total of $1.5 million. "We recovered 900 head of cattle back to our agricultural partners," he said. This investigation was overseen by the Sheriff's Cattle Liaison whom Sheriff Boudreaux had appointed to this special position last spring. He worked closely with detectives from the Sheriff's Agricultural Crimes Unit to bring this suspect to justice. "We, at the Sheriff's Office, placed no limits on the use of resources for this investigation and the protection of our agricultural partners," Sheriff Boudreaux said. 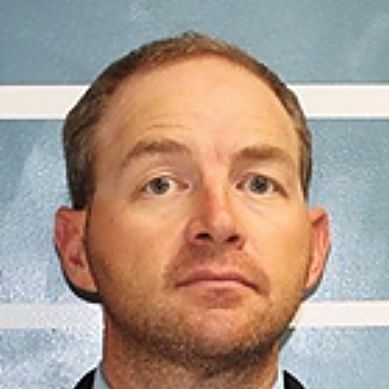 The suspect, Justin Tyler Greer, 36, was arrested on Dec. 28, in Tarzan, Texas, with assistance from a Fugitive Task Force made up of officials from the Texas Rangers, Midland County Sheriff's Office, Martin County Sheriff's Office, U.S. Marshals Service and the Texas & Southwestern Cattle Raisers Association Special Ranger Unit. Greer was extradited to Tulare County on Dec. 31 and booked at the Adult Pre-Trial Facility. His bail is set at $1.9 million. His arrest followed an intensive investigation that lasted six and a half months. Sheriff Boudreaux said he is very proud of his Agricultural Crimes Detectives for their hard work and dedication to the victims in this case. "Given the complexity of this case, I am proud of the amount of progress they made to get this case to this point," he said. "And I very much appreciate the assistance of other law enforcement agencies throughout the Western United States." The Western way of life is a special one in Tulare County where trust in a man's word is very much alive, Sheriff Boudreaux said. "When that trust is broken, it shocks the consciousness of the community and the industry," he said. "We, at the Sheriff's Office, take it very seriously when one man steals another man's cattle and commits fraud." On June 13, 2017, Sheriff's Agricultural Crimes Detectives were contacted by seven victims who provided statements and evidence that showed a combined loss of $1.5 million through cattle theft, investment fraud, embezzlement or a combination of all three. Each victim identified 36-year-old Justin Tyler Greer as the suspect. For many years, Greer had been a widely-known and respected cattleman in Tulare County. He bought and sold large numbers of cattle on a regular basis as a broker and managed several herds of cattle for various people across Tulare County. Many of the cattle managed by Greer were owned by ranchers in other parts of California, Wyoming and Colorado. According to victims, in April and May, Greer failed to meet his financial obligations, causing them to look closer at their business dealings with him. Two of the victims issued audits into the numbers of cattle they owned that had been managed by Greer. Those audits showed hundreds of cattle had been stolen. Other victims in this case had invested as partners with Greer. They later learned that the cattle they had invested in either weren't Greer's to sell in the first place or the cattle never existed at all, Sheriff Boudreaux said. During the investigation, detectives worked closely with the California Bureau of Livestock Identification Brand Unit, as well as criminal investigators with the State of Wyoming Livestock Board. Working together, detectives learned that more than 900 head of cattle had been shipped into Wyoming by Greer. These cattle had been illegally placed on pasture in Wyoming, Sheriff Boudreaux said. They were later recovered by investigators with assistance from the State of Wyoming Livestock Board. The sheriff's investigation of Greer spawned a parallel criminal investigation by the U.S. Forest Service which is handling the investigation of the cattle Greer sent to Wyoming. Greer had been doing business through a multitude of financial institutions with various accounts within each institution. Detectives authored and served more than 25 search warrants for these accounts as well as various offices, residences and a variety of electronic devices. From these searches, detectives obtained and reviewed thousands of financial documents and associated evidence which strongly corroborated the victims' statements and losses. In early December, detectives located Greer in Tarzan, Texas. Working closely with the Tulare County District Attorney's Office and its Bureau of Investigation, Sheriff's Detectives authored an arrest warrant for Greer with a bail of $1.9 million. Detectives began working with a Fugitive Task Force comprised of officials from the Texas Rangers, The Midland County Sheriff's Office, The Martin County Sheriff's Office, The U.S. Marshals Service and the Texas & Southwestern Cattle Raisers Association Special Ranger Unit. Detectives from the Tulare County Sheriff's Office Agricultural Crimes Unit traveled to Texas on Dec. 27, where they met up with and worked with the above mentioned Task Force. The Task Force took Greer into custody on Dec. 28. Greer was extradited back to Tulare County on Dec. 31 by Tulare County sheriff's deputies. He was booked into the Adult Pre-Trial Facility.